Tamela “Tammy” J. (Groves) Stansbery, age 56, of rural Sycamore, Ohio, passed away with her family by her side on Thursday, March 29, 2018, in the James Cancer Hospital at The Ohio State University Hospital in Columbus, Ohio. Tammy was born on March 1, 1962 in Galion, Ohio to Harlan W. Groves and Shirley (Walter) Groves. Her father is deceased and her mother survives in Bucyrus, Ohio. She married Joseph E. Stansbery on June 23, 1990 at St. Paul Lutheran Church in Upper Sandusky and he survives in Sycamore. She is also survived by three daughters: Marie Stansbery of Upper Sandusky, Maranda Stansbery and Maddison Stansbery, both of Sycamore, Ohio. Three sisters also survive: Wanda (Ty) Long of Bucyrus, Wendy (John) Williams of Ontario, Ohio and Teresa (Rick) Brunty of Wharton, Ohio. 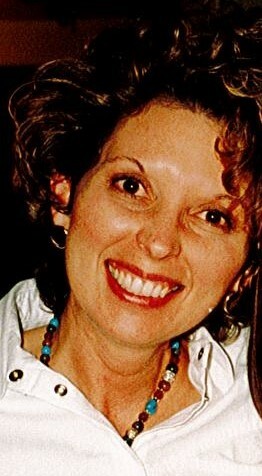 Tammy was a homemaker and also worked at Commercial Savings Bank and Wyandot Chiropractic. She was a member of St. Paul Lutheran Church in Upper Sandusky and a 1980 graduate of Bucyrus High School. She loved camping at Larry’s with family and friends, playing euchre with her girlfriends, and spending many summers traveling across the United States watching her daughters play softball. Funeral services for Tamela Stansbery will be held at 11:00am Wednesday, April 4 at St. Paul Lutheran Church in Upper Sandusky, with Pastor Edward Hunker officiating. Burial will follow the service at Nevada Cemetery. Visitations will be held on Tuesday, April 3 from 4:00pm to 8:00pm at Lucas-Batton Funeral Home in Upper Sandusky, and for one hour before the service at the church. Memorial contributions may be made to the Stephanie Spielman Fund for Patient Assistance at OSU or to St. Paul Lutheran Church and can be sent to Lucas-Batton, 476 S. Sandusky Ave. Upper Sandusky, Ohio 43351.